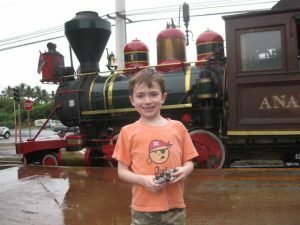 My 6 year old boy loves trains, much like any other boy his age, so we HAD to ride the Sugar Cane Train while in Maui. Initially, our hotel concierge suggested we take the train to Lahaina and then walk to our whale watching tour spot. 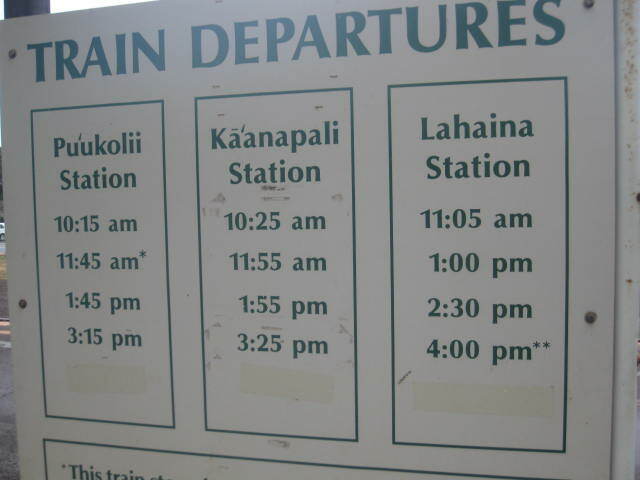 However, upon talking to the gal at the Pacific Whale Foundation who said it’s about a 6 mile walk and too far for a little one, we did our train ride into Lahaina on a sightseeing day instead. I mention this in case YOUR hotel concierge tries to fool you into doing this together like mine did. He clearly had not made the walk himself, or at least not with a small child. 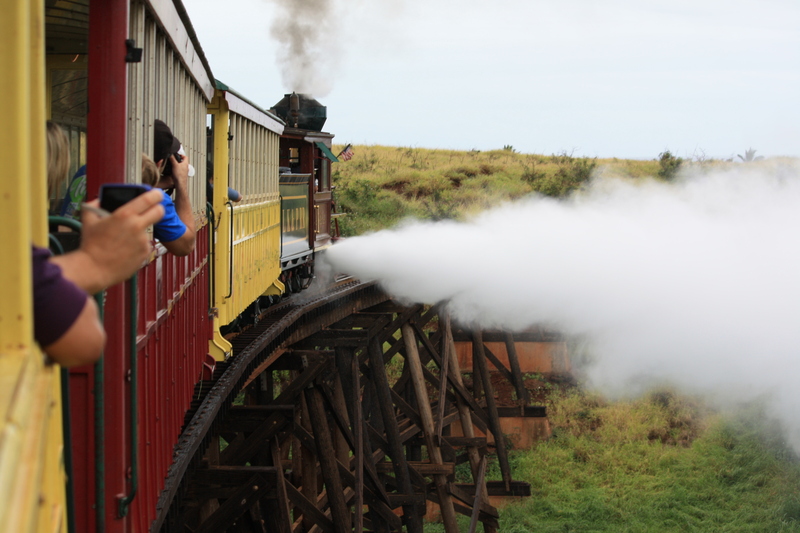 The Sugar Cane Train departs the Ka’anapali Station across from the Westin Ka’anapali Ocean Resort Villas at various times throughout the day and stops in Lahaina about 20 minutes later. I’ve got to be honest here, though. If your child doesn’t LOVE trains, you can skip this attraction. 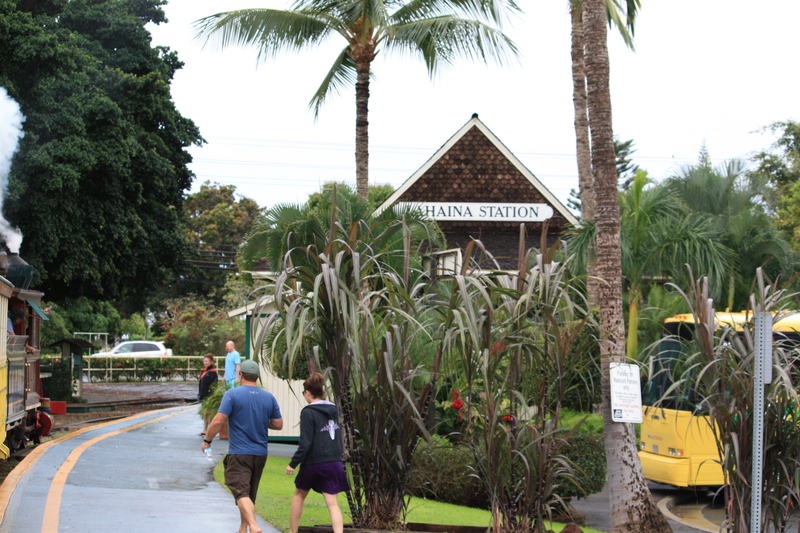 The route takes you through the backyards of some run-down neighborhoods and industrial areas the closer you get to Lahaina, so the views are less than stellar, to be polite. Assuming your child does really LOVE trains, then let me tell you the cool stuff about the trip! The train is an antique steam train that, well, let’s off some steam! They do this right over the “rickety” bridge for effect and a cool photo op. I have “rickety” in quotes because it’s made to look all old-timey, but it’s solid. It’s fun to sit right next to the windows, but be aware that the bushes and foliage gets a natural trim by whipping against the train and unsuspecting passengers too close to the window. So try to keep the littlest ones by the aisle. The train conductor/narrator offers some fun (cheesy) Hawaiian humor and interesting anecdotes about the places as you pass by. Some of these are quite funny. We got on at Ka’anapali in the morning and got off at Lahaina, did some sightseeing, had lunch, and took the last train back to Ka’anapali. 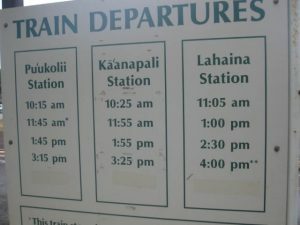 If you were staying in Lahaina, you could take it to the beach in Ka’anapali and ride the train back in time for dinner. Overall, it’s a full little way to spend some time together, have a snack, hear some jokes, and experience a little bit of Old Time Hawaii. thanks this has really helped, as has many of your other articles.